Haha ok. Thanks for your reassurance input. Thanks mate. Here is a shop in NJ ACM that does tons of Rod Bearing replacements .. lots of photos too .. check out this post. 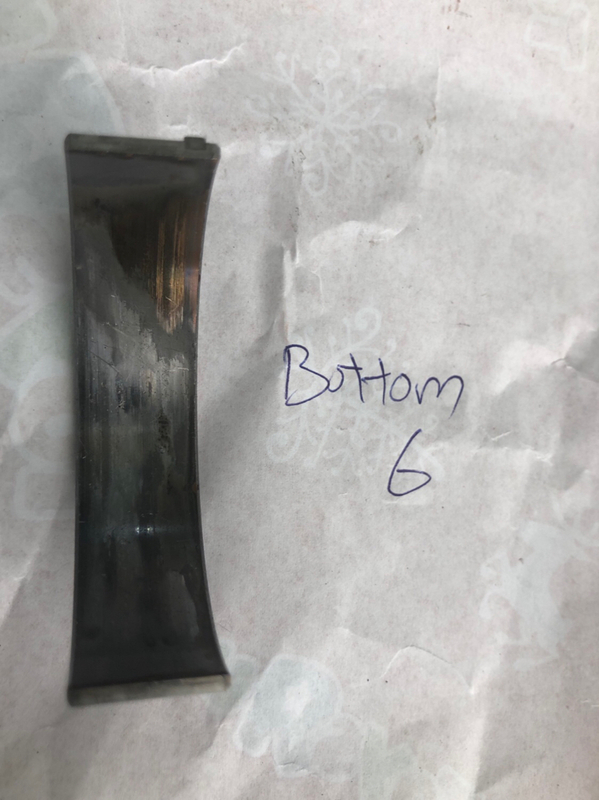 I had a friend who changed his rod bearings after showing elevated wear levels on his e90m and replaced them with BE bearings. That seems to be one of the best alternatives for the s65 imo. BE bearings have additional clearance which is what I think is the culprit for the s65 as opposed to just longevity wear on the s54. ACL makes bearings with more clearance as well, for about 1/3 the price of BE. Some of those are in poor condition for 57km. It is good you changed them. When we do the rod bearing replacement, we use a heavy duty coated bearing set with heavy duty ARP connecting rod bolts. These products are vastly superior to the original bearing material, and the rod bolts are stronger. We use LiquiMoly oils here, and the combination is the best to prevent connecting rod bearing failures. The cost for this service is around $3k plus taxes and alignment. Does this sound right and make sense? I am not too familiar with this sort of thing so was hoping someone on the forum could assist. A shop can provide the best parts in the world but they need to know how to do it properly. Ask them how many cars have run for 50k+ miles on that combination and had their rod bearings inspected again, and what the results were. My bet is they've seen few to none so far. That seems to be the case for most if not all shops. There are plenty of reasons to imagine why coated bearings (or BE bearings, or updated BMW bearings) might be better than the originals. Ditto ARP rod bolts. Maybe even Liqui-Moly oils. The fact is, none of those options has racked up remotely enough bench testing or miles in the field to give a good idea of how well it works. All we know is that stock bearings with stock rod bolts and stock oil are fine until ~60k miles or more (sometimes MUCH more), barring horrible abuse -- but that it's wise to plan to replace them every 60k-100k. We don't know if any aftermarket bearings, bolts, or oil (let alone any given combo) would work any better. If these guys know differently and are willing to explain why, please ask them to post up. Were I doing bearings today, I’d get extra clearance bearings, probably coated ones, and use arp or Carrillo bolts. I do think the $3k price is overpriced but maybe the shop is in an expensive area like San Francisco. $2000-$2500 is more commonly the price. All times are GMT. The time now is 08:48:19 AM.